This item is available in select stores. Click here to find your store and contact your NEX location for availability. 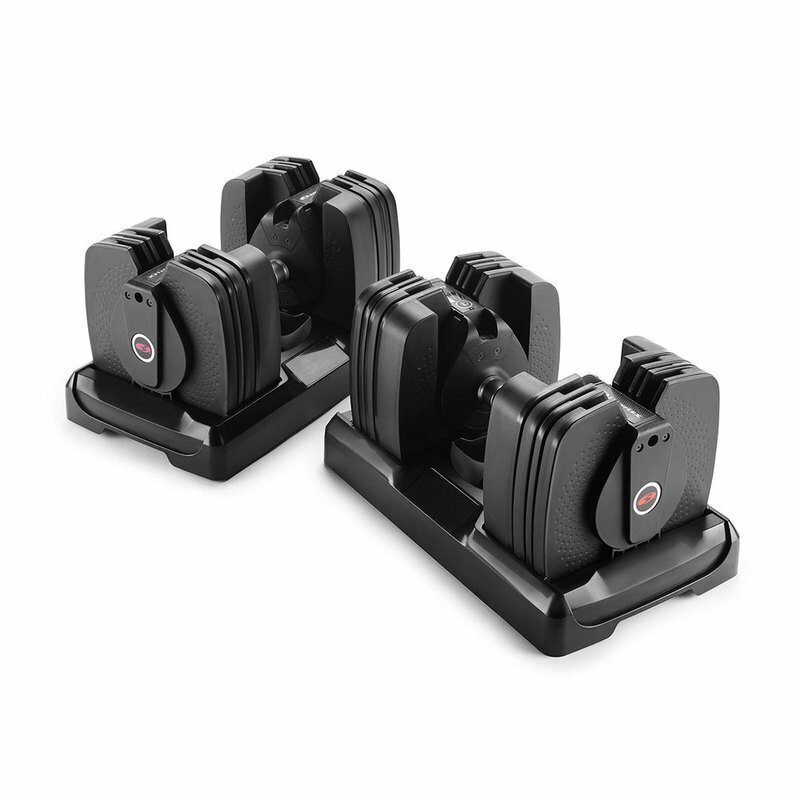 Innovation: Combine your Bowflex SelectTech 560 Dumbbells with the Bowflex Three Dimensional Trainer (3DT). It’s the perfect combination of form meets function, taking the guesswork out of strength training. With pre-loaded workouts, over 70 step-by-step coaching videos and advanced tracking, your workouts will never be the same. Tracking: Now you can focus on form while the 3DT app serves as your personal trainer, tracking your reps, sets, and weight used. Combine with your Bluetooth enabled tablet or mobile device, you’ll be able to wirelessly set and track goals, progress, calories burned, share results with friends, and more. Plus, the 3DT app supports both the Apple Health and Google Fit apps to keep all your fitness and health information in one easy to read dashboard. The 560’s all new Three Dimensional Training (3DT) app tracks your weight, counts your reps and sets, and provides advanced video coaching to ensure perfect form every time.